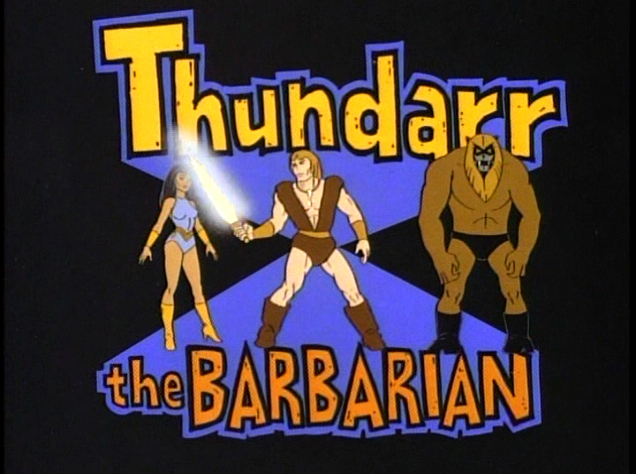 As a young boy of 10 years old, Thundarr the Barbarian was a dream come true. Coming out on the heels of Star Wars, it combined all of my favorite elements – science fiction, post apocalypse and a “fabulous Sun Sword”. Flash forward some 20 years and I am browsing a used book store. I see this book on the shelf and immediately my heart starts racing – it’s titled Thundar, but there’s an “r” missing. 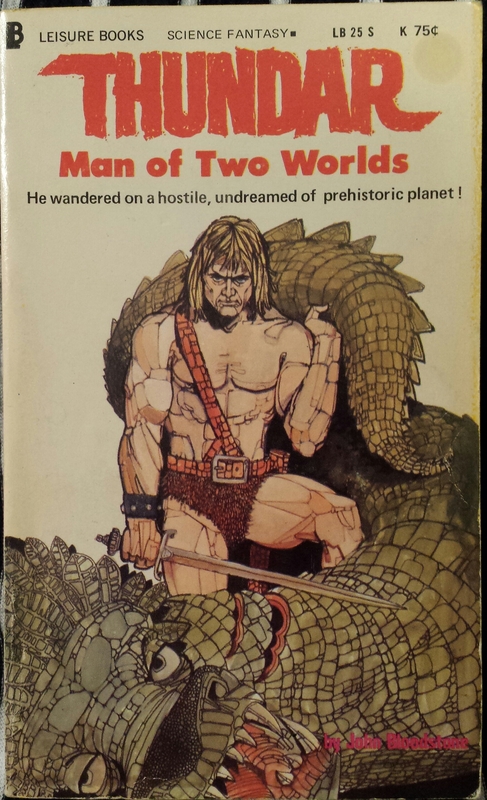 The cover is very reminiscent of the cartoon, so of course it came home with me. Written in 1971, it was published 10 years before the cartoon came to be. 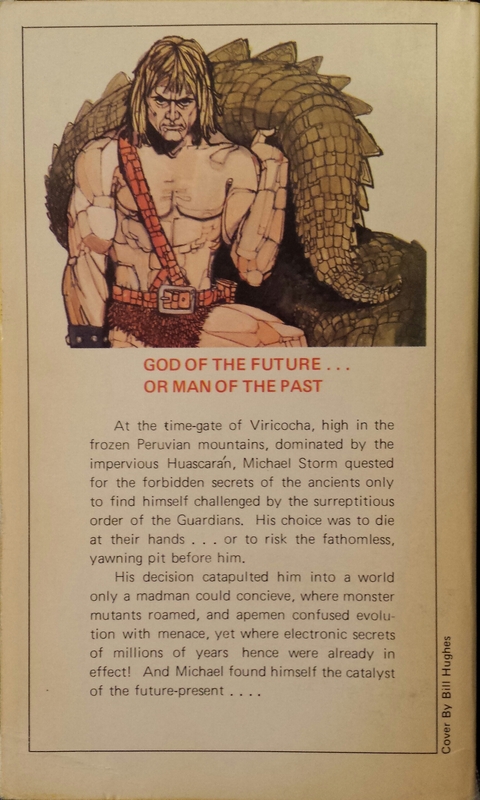 Although the story is a bit different – more akin to Buck Rogers (Armageddon 2419) – in which the main character is “catapulted into a world only a madman could conceive, where monster mutants roamed and apemen confused evolution with menace“. Even the main character’s sidekick, a Moog instead of a Mok, is there. I scoured the internet, looking for any information I could find. 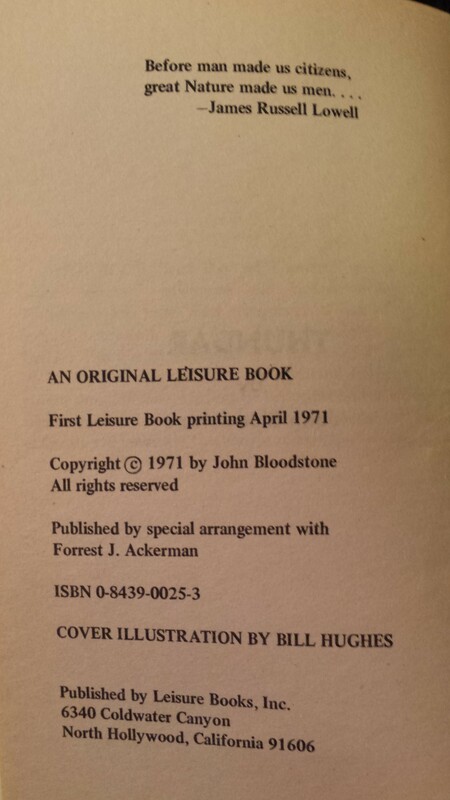 I read through fan sites and wiki articles, finding hardly a single line of text that talked about this book. I contacted owners of various sites and asked if they knew anything about it. The answer was always the same… “Nope”. I came across a short documentary on youtube that delved behind the scenes of the Saturday morning cartoon. Imagine my frustration when I did not hear the smallest snippet of a shout-out or credit to the book. They made it sound like they came up with the idea all by themselves. It has become a crusade of sorts to get the word out that this cartoon was obviously based on this book. Well, here it is. 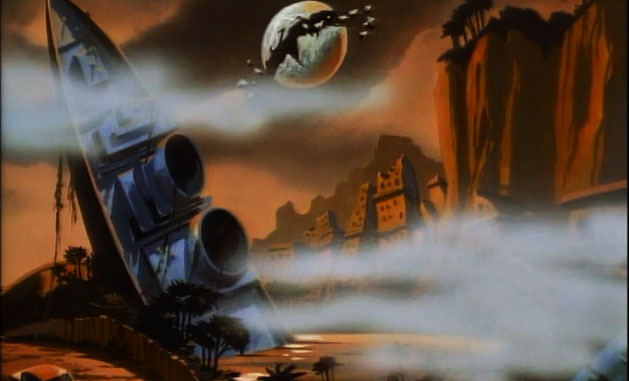 A fledgling blog by a nobody will give the credit to John Bloodstone (a pseudonym for Stuart J. Byrne) for writing the book that Thundarr was based on. Bioflash Short Stories by N.R. Burnette – What are they? Wanted to let you know I just found this and I am glad I did!